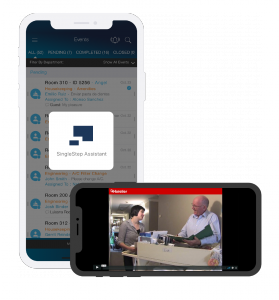 SEATTLE, WA, USA, October 25, 2018 /EINPresswire.com/ -- Nuvola, a hotel optimization and guest engagement software company, today announced it is partnering with SingleStep by Mediafolio Technologies and eHotelier to create a new method of ensuring quality standards and guest services are met at hotels worldwide. Together, these three industry-leading companies will combine their expertise to launch an easy-to-use training and productivity solution for all aspects of hotel operations. The solution is designed to equip hotel staff with effective tools to efficiently follow standard operating procedures and ensure best-in-class guest experiences are delivered on a consistent basis.